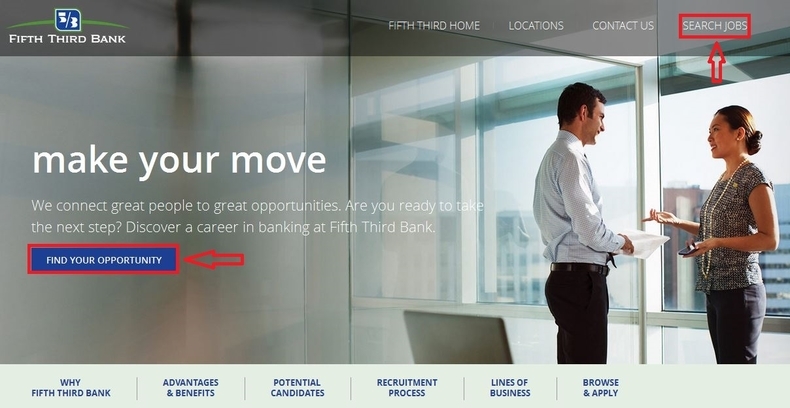 Visit Fifth Third Bank careers page at 53.com/careers to discover a career in banking at Fifth Third Bank. 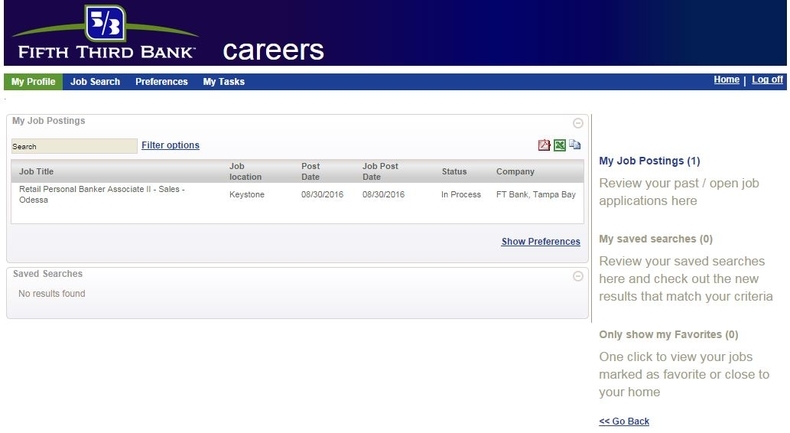 You can click "FIND YOUR OPPORTUNITY" or "SEARCH JOBS" on the upper right corner of the page to view the job listing or search an opportunity. 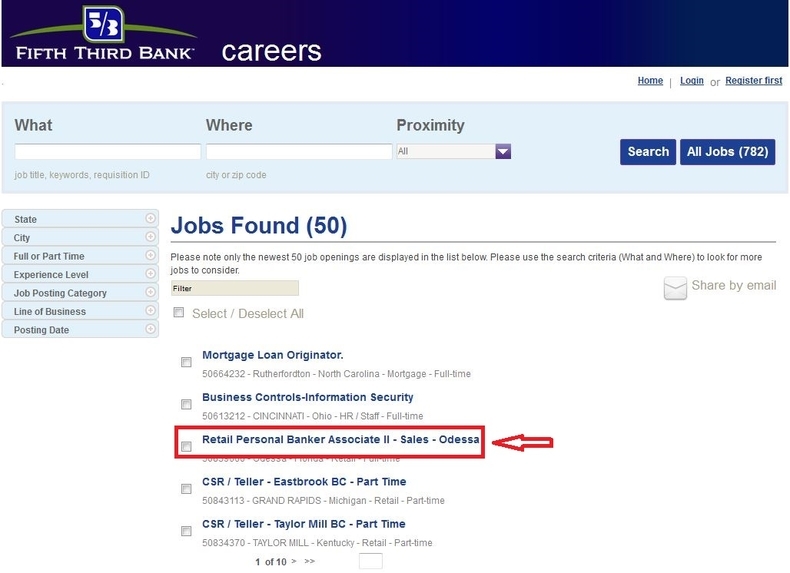 The job listing only displays the newest 50 job openings. If you can not find a position you are interested in, you can use the search criteria to look for more jobs. 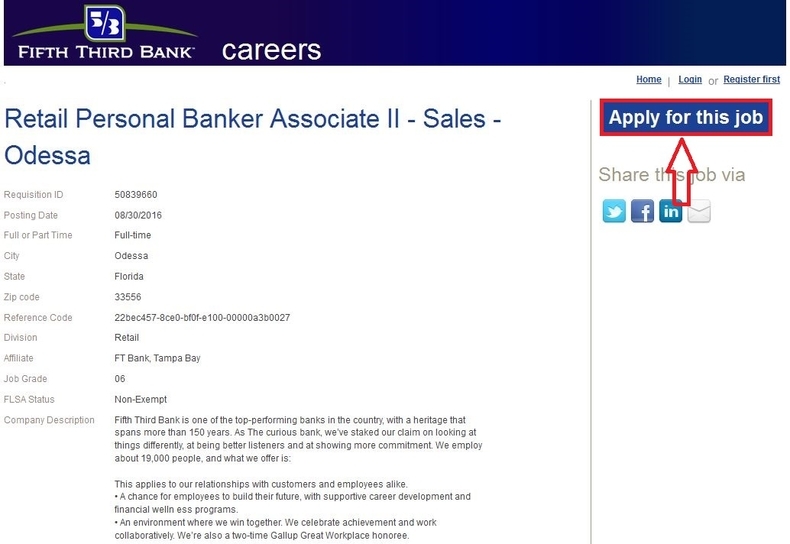 Click the job title to better know about a position and then select the one for you. Know more about the company, division, job and minimum skills and experience. 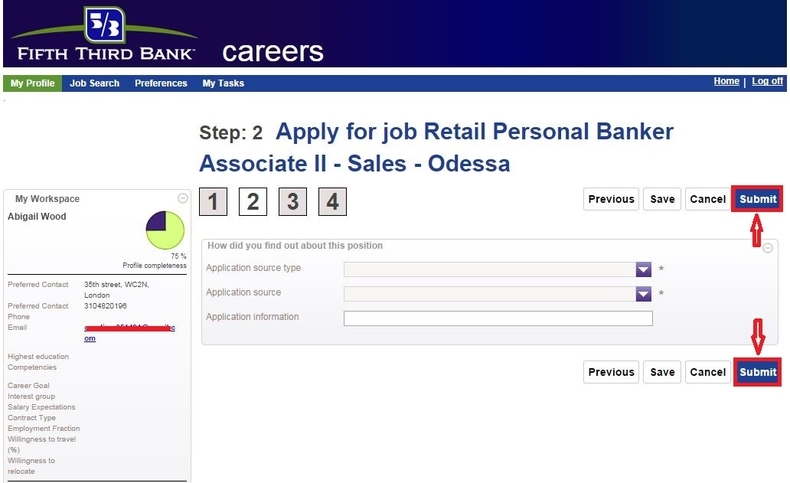 If you match the minimum requirements of the position you are interested in, you can just click "Apply for this job" to start your application. Enter your email address and password to login. 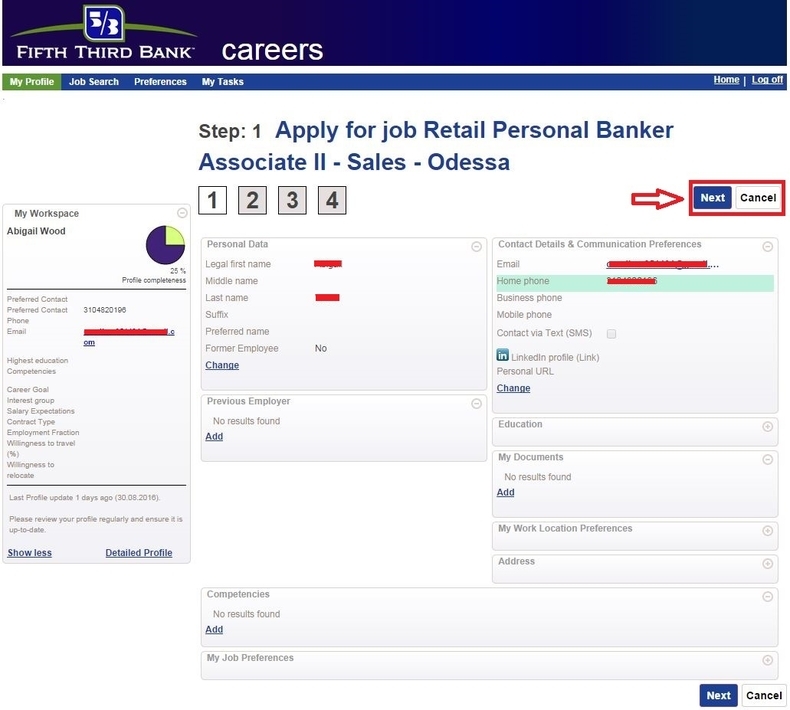 If it's your first application for a job at Fifth Third Bank, you need to click the button "Register" to create an account. Complete your profile through adding your previews employment, your education, documents, competencies and your work location preferences and then click "Next" to continue. The fields marked with asterisk are required to finish. Indicate your application source type and application source and then click the button "Submit" to continue. 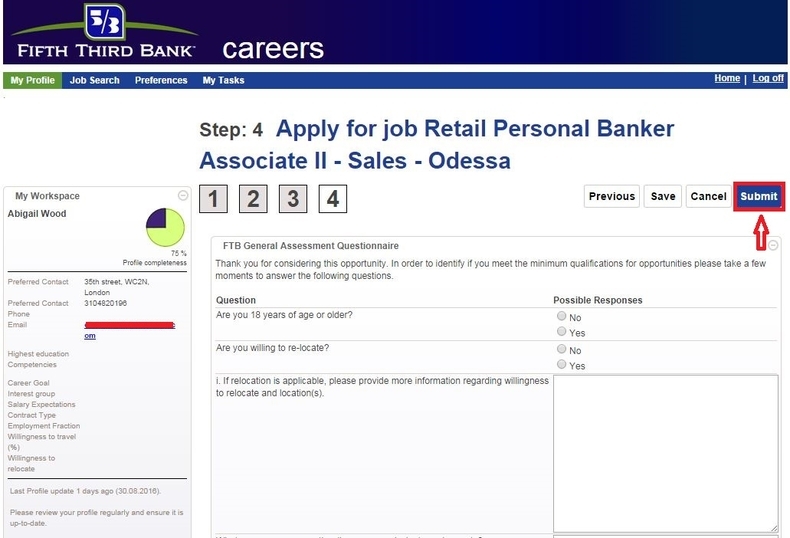 Finish a FTB EEO Questionnaire and then click the button "Next" to continue. The final step is to follow instructions to finish the FTB General Assessment Questionnaire and then click the button to submit your application. 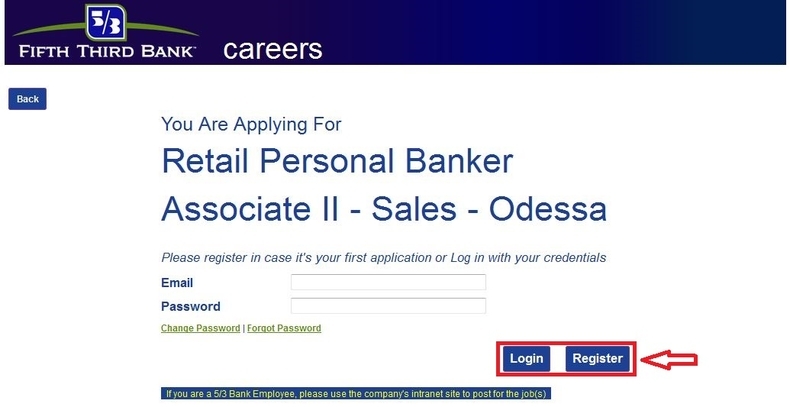 After clicking the button "Submit", you will be entered into a page where you can check your job postings, which means that the whole application process is finished. 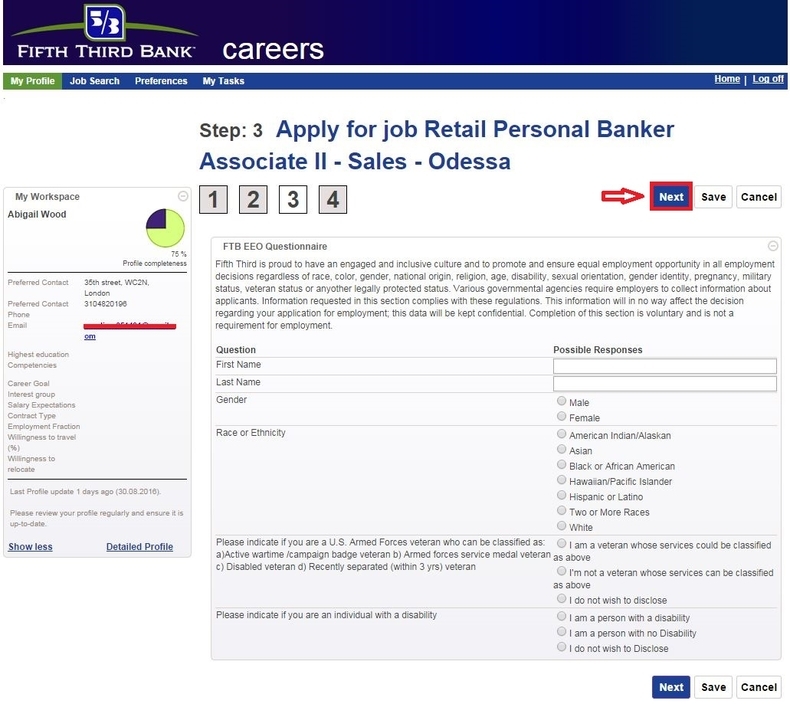 Click 53.com/careers to apply for Fifth Third Bank jobs online.